GiMeSpace Desktop Extender 3D is the deluxe version of the Desktop Extenders. 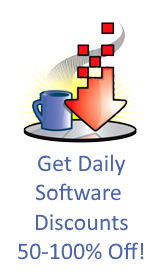 It uses the latest Aero theme desktop technology present in windows Vista and 7/8/10. Like in the standard edition you can scroll left-right, up-down. But now you can also zoom in and out seamless. So you can navigate your desktop in 3 dimensions! Zooming in is usefull to see details on your screen more clearly. Zooming out is usefull to see the whole overview of your desktop and to see a whole window if that window is bigger then your screen. 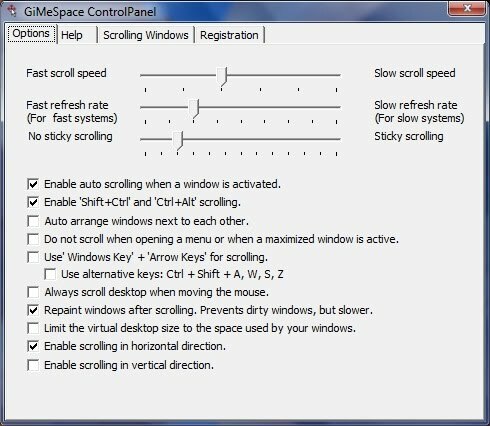 Windows are scaled down but it is still possible to work with your windows while you are in 'zoomed' mode. This is now the only way to have a downscaled screen resolution since Windows creators update DPI scaling lower then 100% is not possible anymore. Bonus: Only available in this 3D edition: You can now assign hotkeys to different places in your desktop. 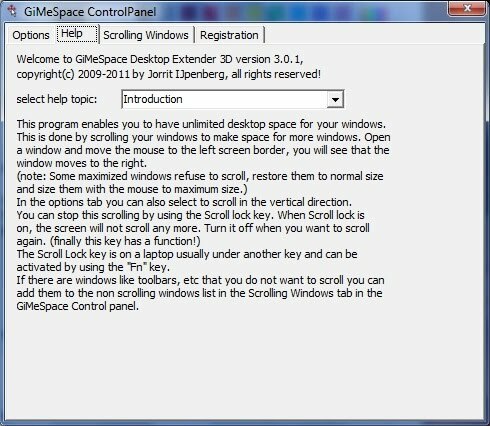 Plus you can save a screenshot bmp of the active window by selecting that option from the gimespace tray icon popup menu. This allows even to make screenshots of windows that are bigger then your physical screen. This edition does NOT work on XP, 7 starter or server 2003, use the normal desktop extender instead.